08/07/11 - 0930, 1210, 1630. Douglas Ferreira. 13/07/11 - 0930, 1210, 1630. Douglas Ferreira. 18/07/11 - 0930. Douglas Ferreira. 23/07/11 - The Lakelander. 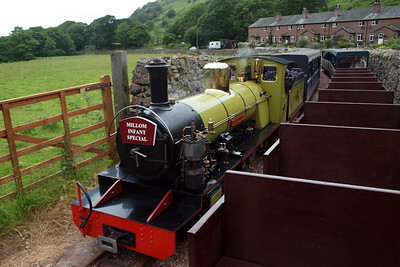 48151 Gauge O Guild. 26/07/11 - 1230. Douglas Ferreira. 29/07/11 - Fisherground Halt and Michael Portillo's visit. 30/07/11 - The Lakelander. 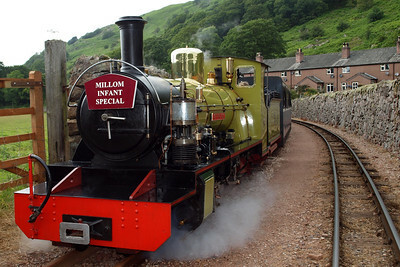 44932. 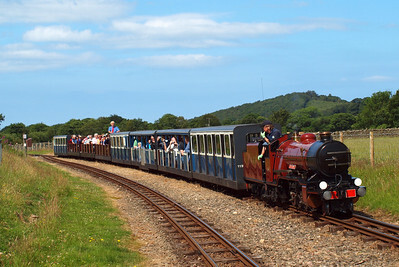 Northern Rock, with the Millom Infants Special, 1050 ex-Ravenglass, 1310 ex-Dalegarth, sitting in Dalegarth siding, seen as Douglas Ferreira arrives at 1250. 08/07/11. 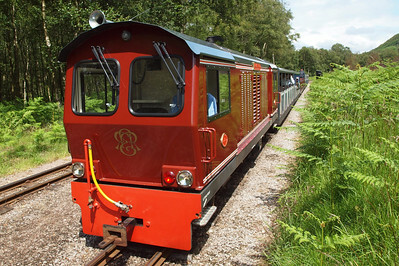 Northern Rock recesses within Dalegarth siding. 08/07/11. 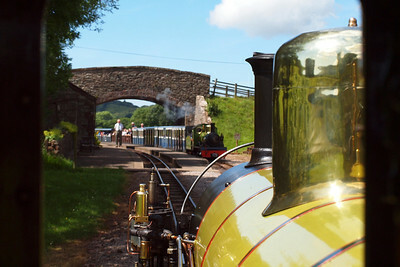 River Esk departs Dalegarth with the 1250 Dalegarth - Ravenglass. 08/07/11. 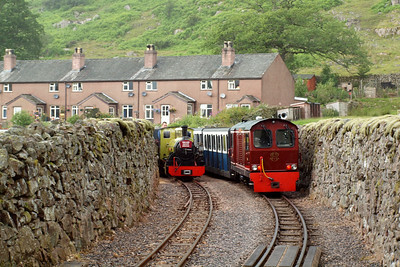 Northern Rock and River Esk pass between the walls at Dalegarth, providing a rare (and rather odd) sight. 08/07/11. 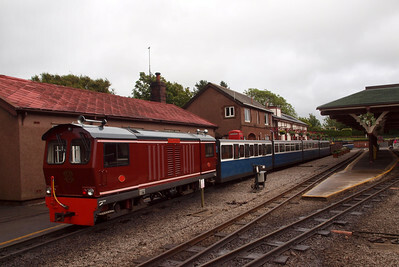 Douglas Ferreira propelled the empty stock out of Platform 2 once River Esk had cleared the station limits, freeing the way for Northern Rock to pull into Platform 1 then run-round. 08/07/11. Northern Rock and Douglas Ferreira between the walls at Dalegarth... or is Douglas Ferreira departing in push-pull mode with an April Fools DBSO special? 08/07/11. 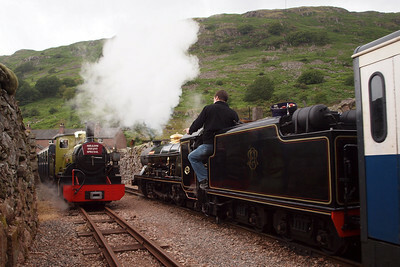 Dalegarth cottages in the background and Northern Rock and Douglas Ferreira await the next move. 08/07/11. 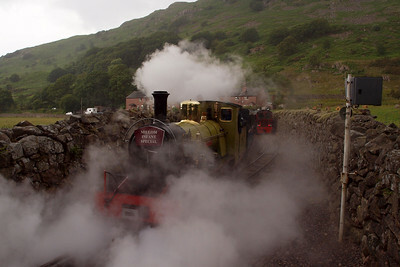 Northern Rock steams out of Dalegarth siding. 08/07/11. 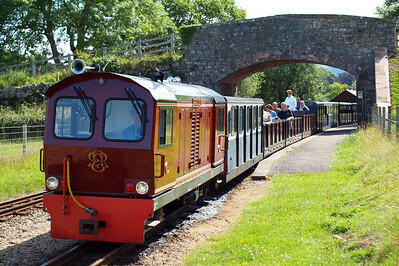 Douglas Ferreira and her train sits between the walls at Dalegarth, waiting for Northern Rock to run round and clear Platform 2. 08/07/11. 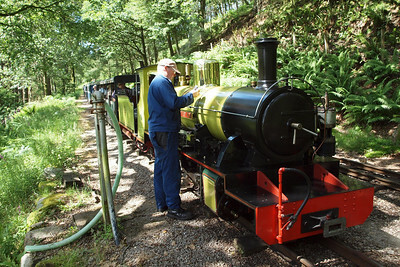 Douglas Ferreira waits at Miteside loop. 08/07/11. 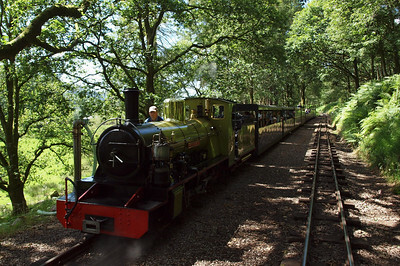 Northern Rock with the 1130 Ravenglass - Dalegarth sits in Fisherground loop. 11/07/11. 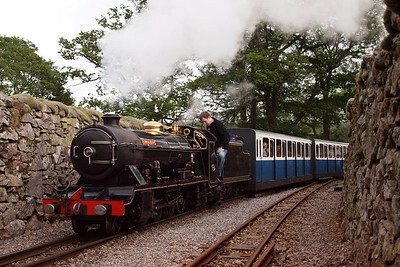 Driver David Moseley attends to Northern Rock as she waits at Fisherground loop. 11/07/11. 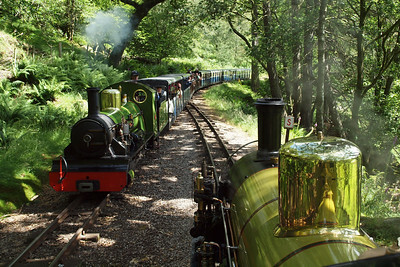 River Irt steams into Fisherground, heading west, as Northern Rock sits in the up loop. 11/07/11. 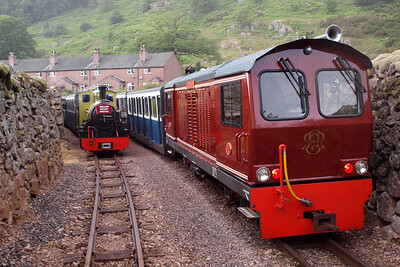 Northern Rock, paused at Eskdale Green with the 1250 Dalegarth - Ravenglass. 11/07/11. Northern Rock descends Hollin How Bank. 11/07/11. 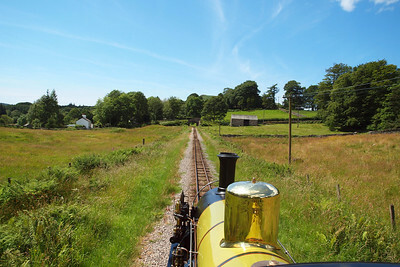 Northern Rock approaches Irton Road, where River Irt is in wait with the 1250 to Dalegarth. 11/07/11. 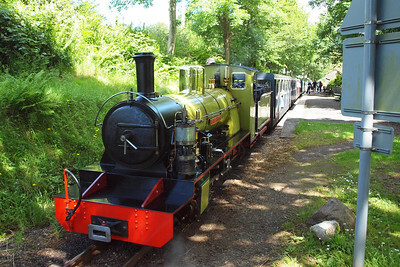 Northern Rock at Irton Road. 11/07/11. 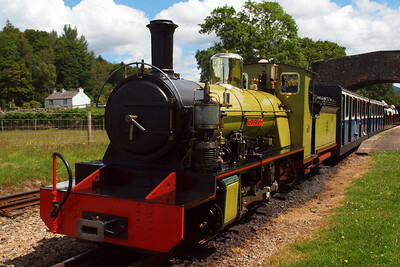 Northern Rock sits at Irton Road station. 11/07/11. 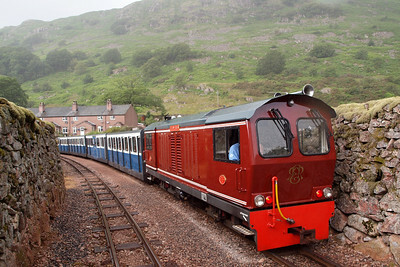 Douglas Ferreira sits at Irton Road with the 1030 Dalegarth - Ravenglass. 13/07/11. 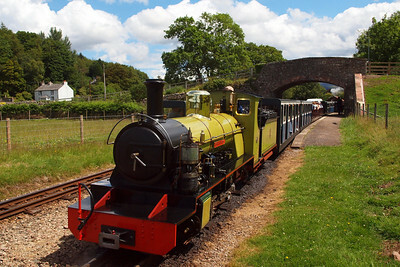 River Mite arrives at Irton Road, working the 1030 Ravenglass - Dalegarth. 13/07/11. Douglas Ferreira on a grey day at Ravenglass. 18/07/11. 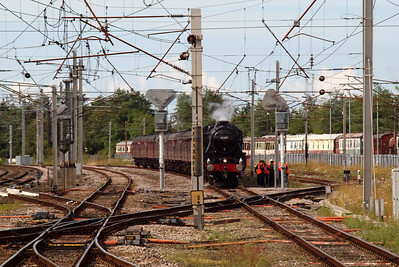 45305 sits in Carnforth D&UGL, taking water, before proceeding to Carlisle with The Cumbrian Mountain Express. 23/07/11. 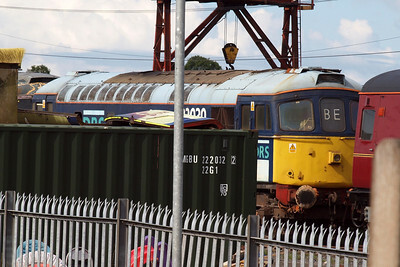 47772 sits stored at Carnforth. 23/07/11. 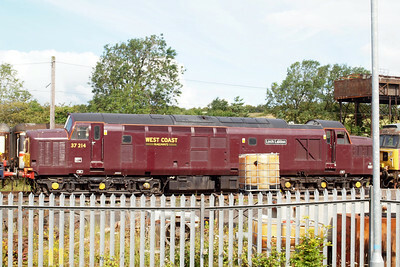 37217 Loch Laidon, out of service at Carnforth. 23/07/11. 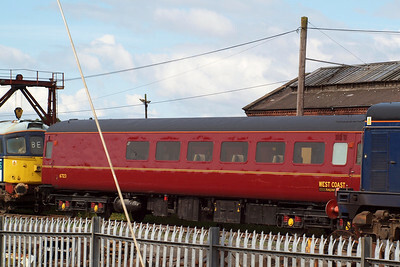 20311 at Carnforth, having been sold to Harry Needle. 23/07/11. 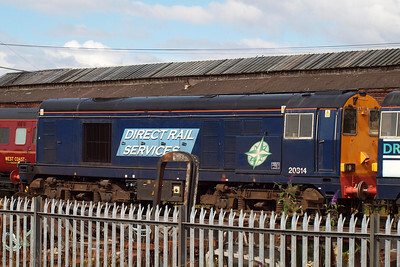 20314 displays the new DRS compass livery, though its fate now lies with Harry Needle of Barrow Hill. 23/07/11. 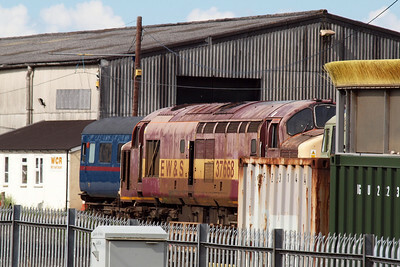 37668, stored at Carnforth, with 3416, Mk. 2F FO, behind it, painted on this side in a mock-GNER livery. 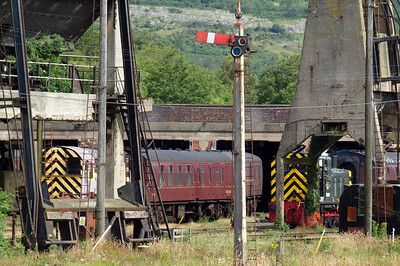 3416 and 3309 were used in the epilogue of Harry Potter and the Deathly Hallows Pt. 2, at London King's Cross, numbered 99716 and 99721, which, coincidentally, are two of the numbers of Mk. 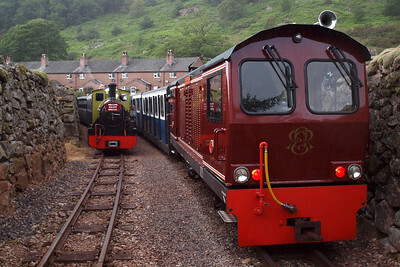 1 SKs used in the films as the Hogwarts Express rake! 23/07/11. 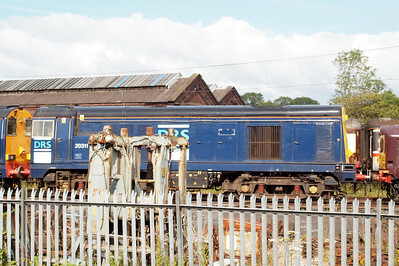 33030, spares donor at Carnforth. 23/07/11. 6723, Mk. 2F RFB. 23/07/11. 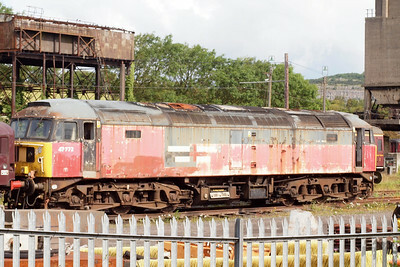 Carnforth shed, with pilots in attendance. 23/07/11.